Patrick Gadut, an expert on the transition from serving in the U.S. Armed Forces to a post-military career, addressed a crowd of MVAT supporters at the Los Angeles home of Lana and Jeffrey Melman. 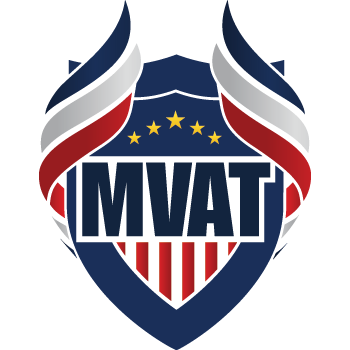 The August 6, 2017 event was part of MVAT’s veterans issues education program. Mr. Gadut, a prior service U.S. Marine, is an 18-year veteran of the Los Angeles County Sheriff’s Department, where he develops executive business strategy for the department. He holds a Master of Business for Veterans from the University of Southern California. Most recently, led the team that created the department’s Military and Veterans Affairs Division. The engaged audience heard Mr. Gadut discuss the special talents veterans bring to American businesses, the important role that MVAT’s Heroes Linked program can play in jump-starting veterans’ post-military careers, and Heroes Linked’s enormous potential for assisting even more veterans in the future. Mr. Gadut is also the COO of ProVet, a for-profit strategy firm that advises the spectrum of business development and organizational redirection, and specializes in veteran recruiting, hiring, and retention practices. 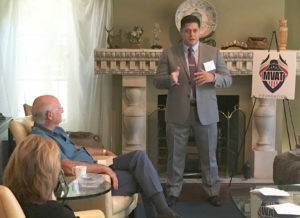 During his presentation, he detailed the challenges that both veterans and businesses contend with as the former seek jobs and the latter seek to boost employee retention. A lively question and answer session followed Mr. Gadut’s presentation, which featured numerous exchanges including on the specific knowledge that allows businesses to benefit enormously from their veteran employees, as well as on resources and tools that can improve the process, including MVAT’s Heroes Linked program.